Have you ever noticed some small letters and/or numbers on your pressed penny and wondered what the meaning of that might be? If you haven’t don’t worry – we collected for years without paying any kind of attention to those so called “initials”. But we have learned over time what that is all about. And it’s actually a big deal!! Two of a Kind – Spot the Differences! The coin on the left came from Old Town Black Market Minerals on 5770 W. Bronson Hwy #401 (Route 192 mile 9) in Kissimmee, Florida 34746. 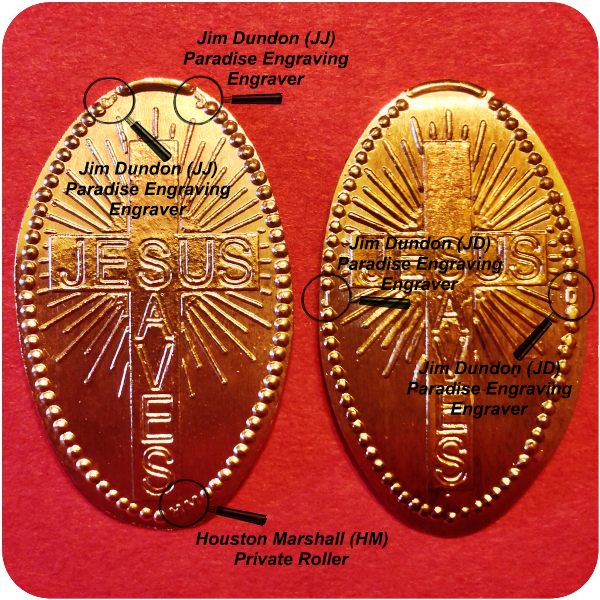 The (now retired) engraver Jim Dundon from Florida used three different initials: “JD”, “JJ” and “PE” which stood for his engraving business (Paradise Engraving). The “HM” initials point to Private Roller Houston Marshall. Now some maybe are rollers but not designers. Some are designers but not rollers. Some design and roll. Some may engrave but not deal with the artwork. And some do it all. 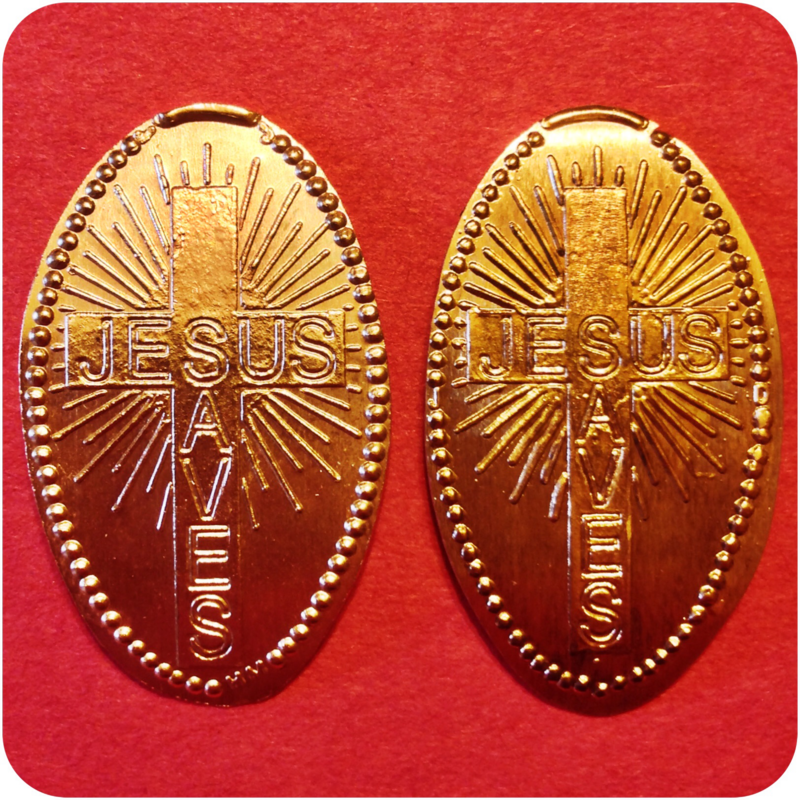 Over time (to the best of our knowledge) we will try to add specific information about each initials as we gather the information along our journey through the realms of elongated coins. C Often used to denote a copy of an earlier elongated coin. EPE Elvis Presley Enterprises, Inc.
FB Frank E. Brazzell from Indiana. Master engraver and builder of rolling machines. Mentor of Jim Dundon. Passed away in 1996. GWE Gerald William Elliott Sr. The Penny Men, A Division of CTM Group, Inc.
SSC Sea Shell City, Inc.